Whether you're celebrating the birth of a child, kindness of a friend, the closing of a business deal or sending condolences... 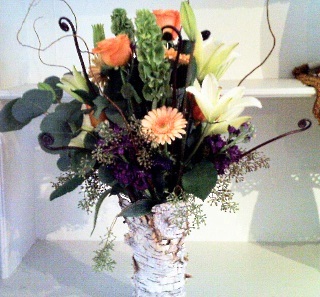 Flowers from Water Lily Flowers and Gifts will make any occasion special. 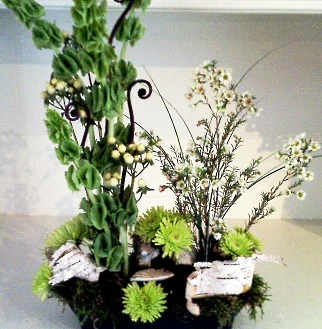 Proudly serving the Wiscasset, Maine area, we're a full-service local florist that is family-owned and operated. Our knowledgeable staff is ready to assist you with placing orders for local delivery or anywhere in the world. Not sure what to send? We'll gladly help you with creative suggestions! For your convenience, we offer daily floral delivery to local funeral homes and hospitals. 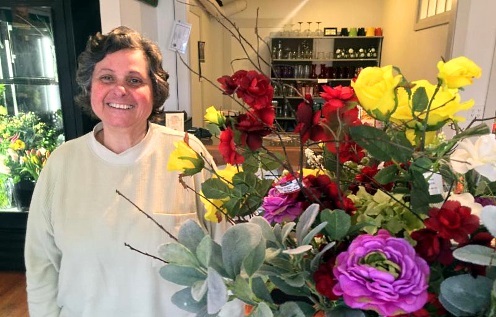 Owner Datvik Deirkrikorian in her flower shop, Water Lily Flowers and Gifts, started in November 2015 in Wiscasset. We hope you enjoy your online shopping experience with secure 24-hour ordering right at your fingertips. If preferred, you may call us to place orders direct at (207) 882-9333. Stop by our floral and gift shop and be sure to look around in all the nooks and crannies to discover unique gifts and decorative accents, as well as lots of artful items from Greece, Armenia, Cyprus and Italy. Order breathtaking, one-of-a-kind Wedding Flowers, including Bridal Bouquets, Corsages, Table Centerpieces and Party Arrangements from Water Lily Flowers and Gifts. Call our shop in advance at (207) 882-9333 to set up an appointment for a consultation. We will ensure your special day is a blooming success! Browse our lush Dish Gardens, Green Plants and Blooming Plants for a gift that adds life to any room, office or outdoor space. We offer plenty of Gift Ideas that are sure to please for any occasion, including plush stuffed animals, balloons, fruit baskets, gourmet baskets, scented candles, silk arrangements, home décor items, baby gifts, candy, chocolates, Cross Stitch Table Runners, Beveled Glass Ornaments, Handwoven Shawls/Scarves, Crochet Doilies, Wall Decorations, Decorative Hand-stitched Pillows, Hand-painted Plant Pots, Wine Holders and more! Call or visit us today… we look forward to meeting you! Thank you for visiting our website for flowers delivered fresh from a local Wiscasset, ME floral and gift shop, Water Lily Flowers & Gifts.